Precarious ivy-clad fragment of mansion of the Sandilands, abutting North Couston Farm. 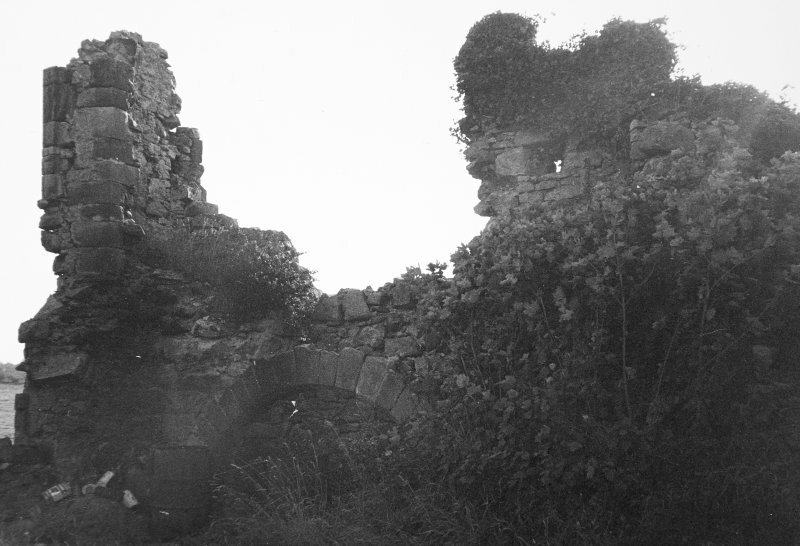 The fragmentary ruin of Couston Castle lies to the south of North Couston Farm. It consists of two walls at right angles rising to a maximum height of 4.00 metres. The ruin appears to form the western extremity of the original building which seems to have been L-plan. There are the remains of a moulded opening and the remnants of a large ground floor arch, probably the kitchen fireplace. The castle appears to date from the seventeenth century and was the seat of the Sandilands family. 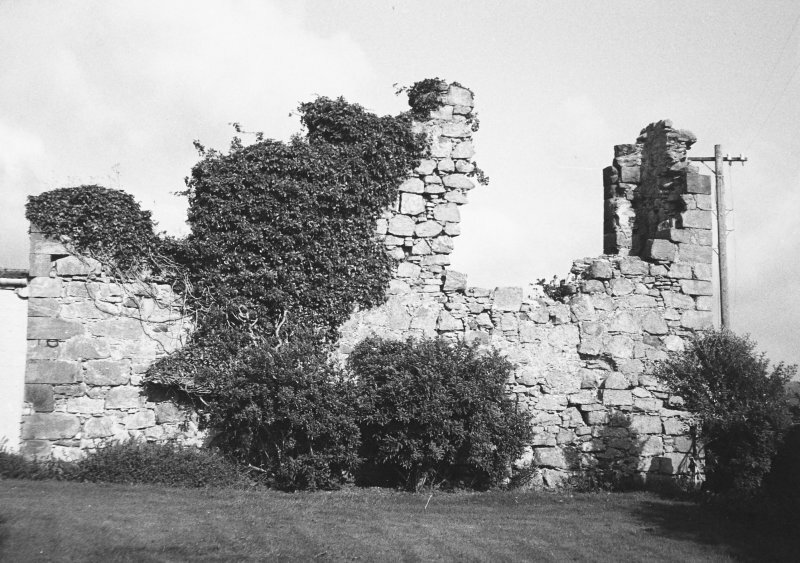 The fragmentary remains of Couston Castle, of 17th century date, stand in the garden of the E side of North Couston farm-house. 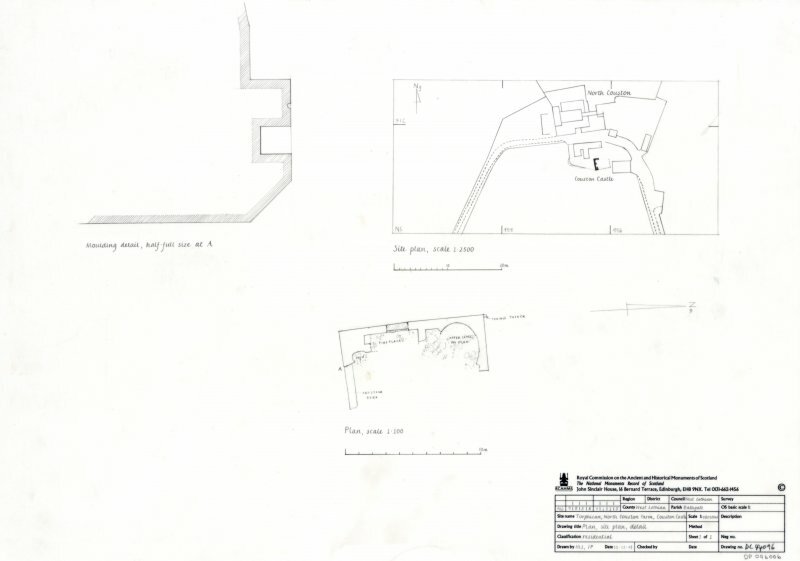 The building has been L-shaped on plan, the main block, 54' 4" x 25', running E-W, with the wing, which contained the newel stair, projecting on the NW. The masonry is rubble. At basement level there were two chambers in the main block. The smaller, at the E end, has been a vaulted cellar, the larger was the kitchen, but no trace of the vault, if such existed, remains. No details can be given of the upper floors, the remains are very dilapidated. Bell suggests a 15th century date for this castle, and notes some remains of a turret on one corner. All that remains is part of the W wall. Its date could not be ascertained. 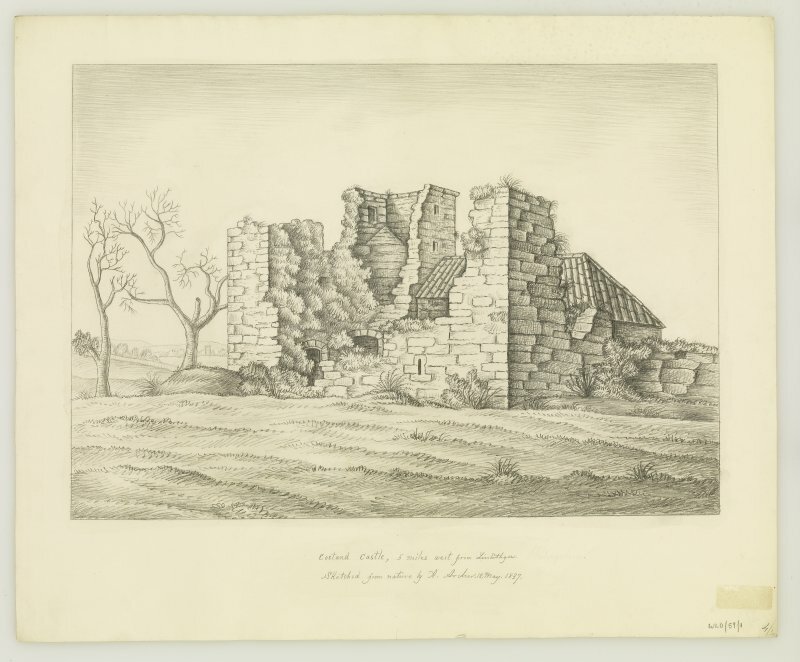 Fragmentary remains of 17th century house. L-plan. Random rubble; very dilapidated. Roofless. Interior: Semi-circular fireplace-arch at W end. NS 9558 7115 A watching brief was carried out in January 2006 during the demolition of the ruined and fragmentary remains of North Couston Castle as a condition of planning consent. The castle is thought to have been built between the 15th and 17th centuries. No previously unrecorded features were identified, but a piece of late medieval Redware was found in the mortar, giving a terminus post quem for that part of the building. Archive and report to be deposited in NMRS. Report lodged with WoSAS SMR. Sponsor: Mr T Hamilton and Sons. 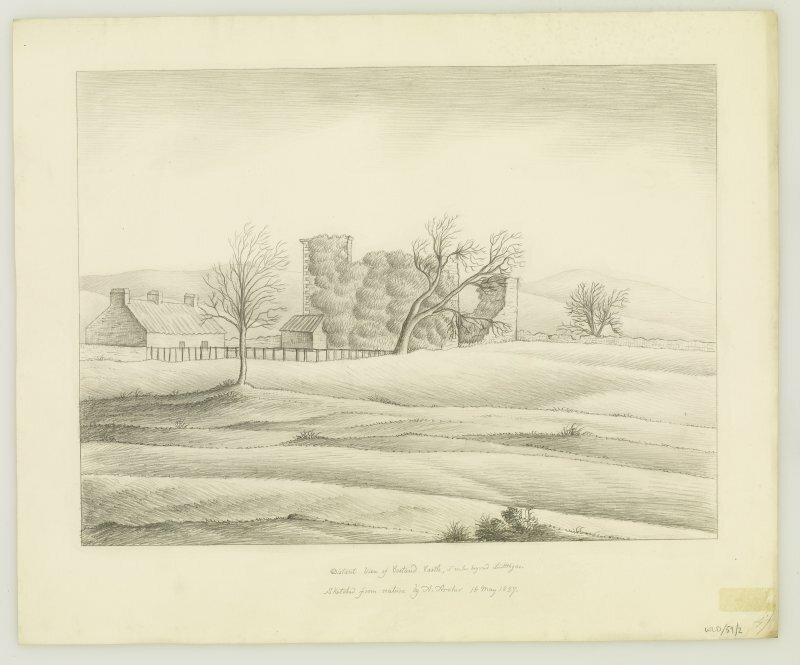 RCAHMS undertook a photographic survey of Couston Castle prior to its demolition. The ruin was found to be in a dangerous condition. It had been been de-scheduled and de-listed.